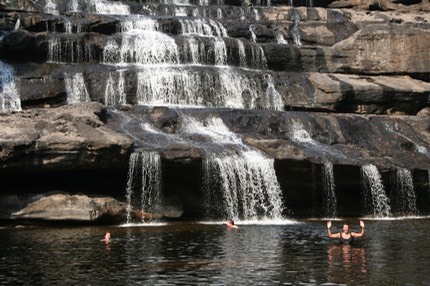 Laos had been on the list for quite a while but was not to be visited until 2009, during our second sabbatical. 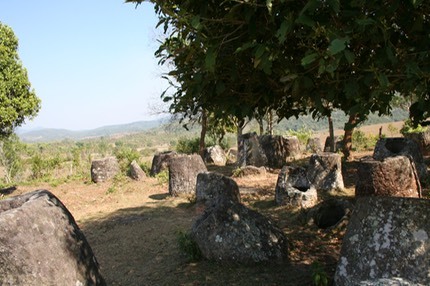 We wanted to see the usual tourist sites like Luang Prabang, but also get to the Plain of the Jars which I had seen in a magazine somewhere and was intrigued by. We flew from Bangkok to Luang Prabang which is a very pretty town nestled on the banks of the Mekong river. We stayed in a charming guest house with wooden shutters on the windows. We took a day trip to see a big cave. and stopped at a village on the way. 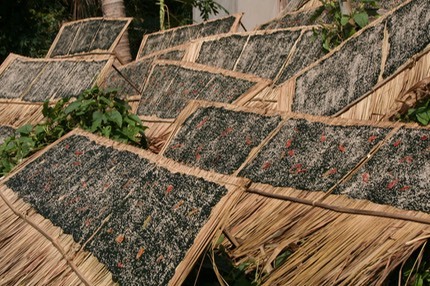 A favourite snack was a very fine freshwater weed that is collected, washed and then dried with chillies and sesame seeds thrown on. These are very tasty snacks. 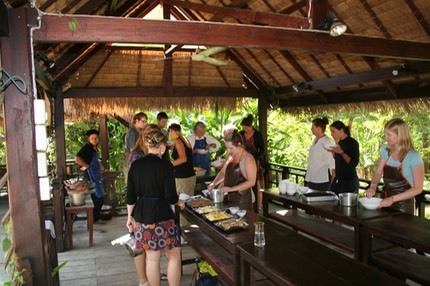 We signed up for a cookery course which was a real highlight, learning how to cook fish in banana leaf, stick rice and minced chicken lollipops cooked on lemon grass sticks. It was a fun group of people and we got to eat everything at the end. We needed to get a minibus to Phonsavan for access to the Plain of the Jars which turned out to be about 12 hours away over the mountains. One of those journeys that doesn't look much on a map but takes forever, due to the twisty roads and steep climbs and ascents. 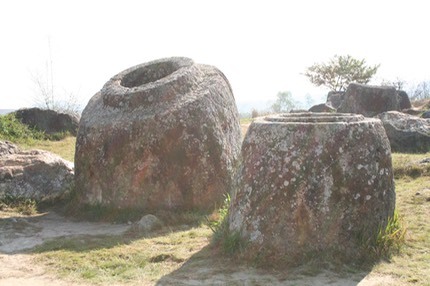 Once in Phonsavan everything is related to the war and the jars. 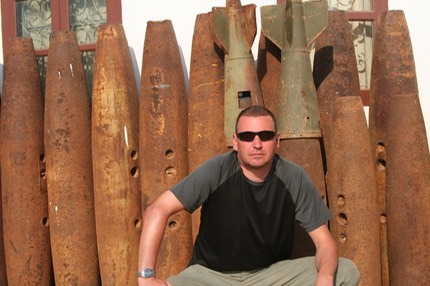 All trips visit the jar sites and every restaurant and guest house is kitted out with shells, land mines and guns. The jars themselves are well worth the visit and we visited 3 different areas where they are. Evidence of land mines is everywhere and there are still plenty of places you cannot go. Nobody knows for sure what the jars were for, but guesses range from storage to burial uses. Some had lids laying nearby. They occur in big clusters and at one site the guide took us up the hill to the quarry where they were carved. You could see half finished ones half carved from the rock face. We finished off in Vientiene, the capital, in a small hotel looking over the Mekong with Thailand on the far bank. 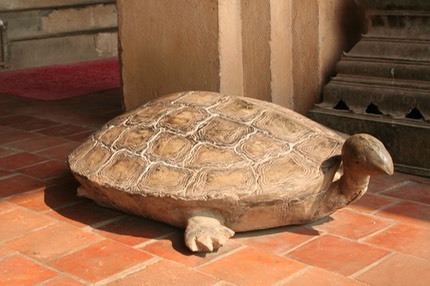 A good museum has been maintained and is full of old relics including this nice turtle. I had to move a "do not sit here" sign from its back for the photo, which seemed to amuse the guard. From Vientiene we took a day trip to a waterfall which included a walk and trip in a boat. The guides were keen to stop and see the headman of a village and it soon became clear why when his daughter came out of the house. Absolute stunner!